Two new bills introduced in Illinois and Minnesota continues the antis’ trend to put hunting dog breeders in the crosshairs by ostensibly targeting abusive commercial dog breeders. The measures feature language failing to distinguish between commercial dog breeders and sporting dog breeders. They also include restrictive regulations that will drive up the costs of doing business. The USSA urges sportsmen nationwide to watch for similar proposals emerging in other state legislatures. In Illinois, State Representative John Fritchey (D-Chicago) and State Senator Dan Dan Kotowski (D- Mt. Prospect) announced their intention over the weekend to introduce legislation regulating puppy mills. The legislation as written goes far beyond regulating abusive, commercial breeding operations and targets sporting dog kennels, as well. Specifically, the bills subject kennel owners to criminal background checks, finger printing, extensive record keeping, and daily sanitization requirements. The bill places rigorous restrictions on the numbers of dogs that can be housed in each kennel. A maximum of only 20 unspayed or neutered dogs can be kept in a kennel at a time with no more than three adults being kept in the same enclosure. This flies in the face of many accepted sporting dog rearing practices in which dogs are housed with their packs. a requirement that all dogs be euthanized by a licensed veterinarian, causing dogs to suffer while a licensed vet is found to perform the procedure. Meanwhile, in Minnesota, a bill, S.F. 7, has been introduced in the Senate by Senator Don Betzold (DFL- Fridley) and would create many of the same problems. As with similar legislation that the U.S. Sportsmen’s Alliance has fought in Pennsylvania and Ohio, the Illinois and Minnesota bills paint with far too wide a brushstroke. Instead of focusing on abusive commercial breeders, the bills fail to distinguish between types of kennels. Many sporting dog breeders will be forced out of business due to increased compliance costs or to overzealous enforcement. 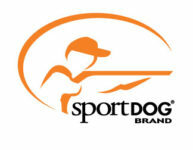 Sportsmen in Illinois and Minnesota need to contact their state legislators today. Tell them to ensure sporting dog kennels are protected before they pass any legislation dealing with “puppy mills.” To contact your legislator use the Legislative Action Center.